A federal judge has denied Uber's attempt to use a key argument to explain why a former employee downloaded files prior to leaving his job at Waymo, Alphabet's self-driving car unit. What's next: Uber still has to show that it didn't know about Levandowski's alleged downloading of Waymo files (at least until this meeting in March), and that it was not as part of a plan to steal Waymo's technology. The case is set to go to jury trial in October. "We had hoped that the jury and the public could hear the reasons Levandowski gave for his downloading files, which had nothing to do with Uber," Uber said in a statement. "The fact remains, and will be demonstrated at trial, that none of those files came to Uber." 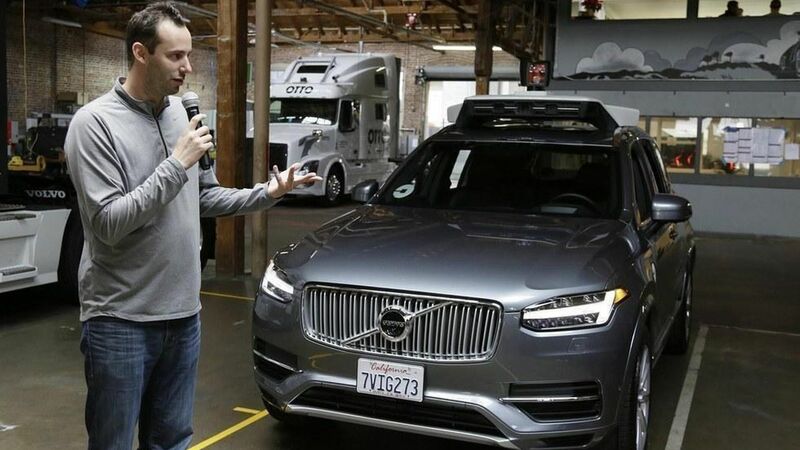 The details: Recently, Uber's lawyers told the court that the former employee, Anthony Levandowski, told its then-CEO and in-house counsel in March that he downloaded the files as insurance that Waymo pay him a $120 million bonus. However, Uber also attempted to argue that while this particular meeting shouldn't be confidential (and could therefore use this defense), others that took place that same evening are confidential because lawyers were present to give advice. The judge ruled Friday that Uber can't separate the meetings out. "Anthony Levandowski's supposed excuse for downloading more than 14,000 confidential Waymo files was self-serving and more than just suspicious – it was entirely made-up," said Waymo in a statement. "The extreme measures he took to try to erase the digital fingerprints of his actions completely belie any benign motive." The story has been updated with statements from the companies.